Comparing things that are not alike is kind of silly, so let’s waste no time with the following pointlessness. I have recently purchased a triumph Bonneville as a second bike. I’ve been riding my Aprilia for years but after a recent accident last year I found my riding needs and limitations have changed. Here is my reaction in comparing these two bikes. Actually a silly bike, it has an incredible amount of power and torque. It handles very nimbly for 1000cc sport bike. It was made to do only one thing: go really fast. In the pursuit of hot nasty speed this motorcycle like the rest in its class sacrifice everything for performance sake. The riding position is unsurprisingly aggressive. It has a longer than average reach to the bars which has been lengthened due to the aftermarket clip ons I installed. Before my injuries, it was a bike that took energy to ride. Not intended for road trips, I did that anyway using it to ride to Arizona more than once. It’s exhaust modified and helicopter loud. Hearing protection is a must when riding this beast. Orange county in general had lighter traffic, smoother roads and was easier to ride in comparison to Los Angeles. Here in LA, the roads are rough and the traffic is unbelievable. A bike like this is like keeping a pet tiger in your closet. It’s not going to be happy. After my accident my left knee is weaker and my right wrist becomes a problem after about 15 to 20 minutes riding this beast. This thing was really designed and engineered to be a race bike. But Race bikes get beat up. It’s like buying an ultra rare expensive to repair track car. You’re really better off buying a Mazda Miata it’s cheap and simple to maintain. Having used the bike on tracks and crashing once, not counting the many times crashing outside track, it’s just too expensive to do what this was meant to do. This is frustrating because when it’s only designed to do one thing well and you don’t want to use it for that, what’s the point? The bike that was wrecked in the accident mentioned, was a café racer version of an old Yamaha. I originally intended it to just be a second bike but after buying it, it became my main bike because it was so much easier to ride. This is because a slow bike is much more fun to ride fast than a fast bike is to ride slow. 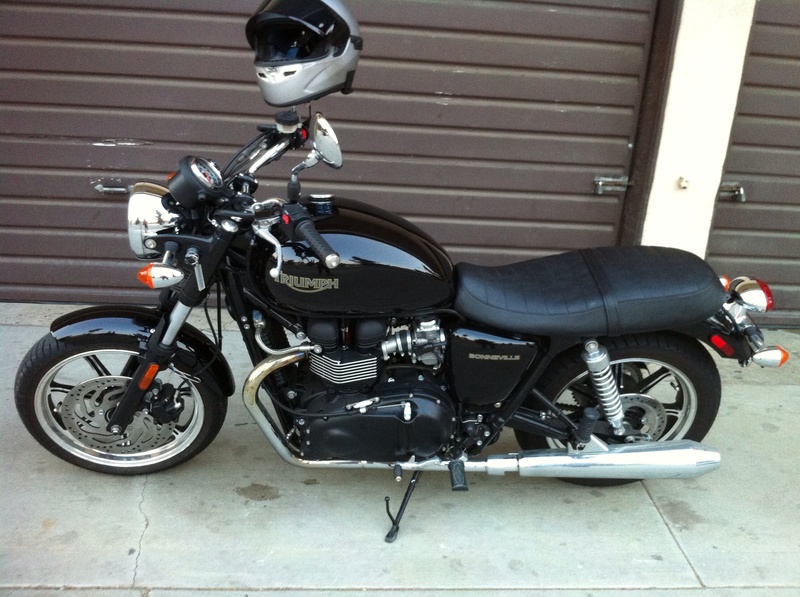 It was for this reason and also because I’ve always wanted to own a triumph, I pulled the trigger on a 2009 Bonneville. This bike is well engineered and meant to do many things very well. It’s not meant to go off road, or be a star on track days but, for around town, general riding and even touring, this baby is pure win. It’s comfortable enough for all day riding, but it’s not a lazy or boring ride. It’s classic fun and looks with modern materials and technology. The brakes are great, Steering is lively and engine puts a grin on your face. 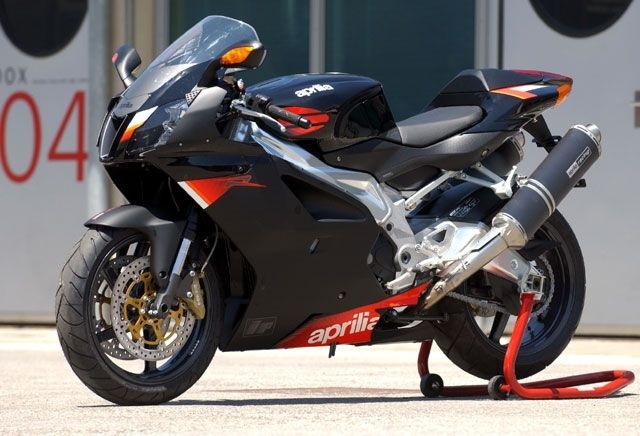 I like it so much, that the Aprilia which I meant to keep forever and make an heirloom to pass down to my first born son, I’m now trying to sell. This has taught me that getting too sentimentally attached to things is of course, bad. Change is a part of life and forsaking all the other pleasures derived from different kinds of bikes, is silly. So bring on the change and pointless comparisons.